• A lot of people do not keep in mind that the pillows and bolsters should be cleaned as per the manufacturer’s instructions. Instead, they take to washing them using the easiest method with undue regard of the consequence. They fail to understand that every fabric has its own technique of cleaning in order to maintain its original form. Failing to adhere to that will simply make the comforters wear out after a short period of time. • Cleaning doesn’t mean using tonnes of bleaching agents and detergents. Even the little washing products you have will bring out remarkable results. Using excess will leave detergents hidden in some parts and will prove hard to rinse out. As a result, it will be left out to act as a breeding point for germs. Adequate is enough to bring out a difference. 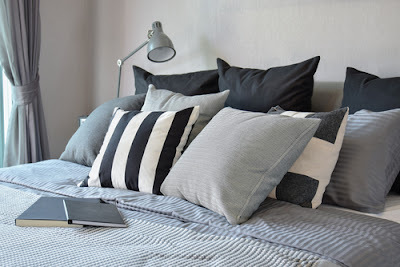 • While machine washing the pillows and bolsters, some have gone ahead to wash one by one so as to be clean and every part of the laundry washed. What they don’t keep in mind is that it is a rule that two pillows should be placed to be washed together so that it can balance the machine for effective results. • Many people believe that they are the best when it comes to washing because they have done so for many years. It only needs your rubbing energy for the fabric to come out clean. That is not the case here. Sorting out the brightly colored ones from plain colored is considered the habit of a pro. You could also adopt this method; it is never too late. This helps separate the clothes because if different fabrics come together; it will lead to self destruction of the weaker one. • Dry cleaning the pillows and bolsters is not the best step to take while drying them. Take advantage of the bright sunshine outside and hang them to dry. This way, the fabric is also taken care of since using a machine will stretch the material hence distorting its original shape gradually and lastly losing its appearance. The sun is gentle and will slowly drip it off water with no damages involved. • Not adding softeners in the water used for washing. Fabric used for making pillows and bolsters are gentle just like a baby is. This is why it is advisable to add some fabric softeners so that it prolongs its life. It is not always fragrance that comes with the softeners but also has other benefits other than just fragrance. • A lot of people use cold water to wash the pillows and bolsters. This is terribly wrong. In the tags that come along with the purchase, it is usually indicated that warm water is best for the cleaning. But a lot chose to do the opposite; using cold water. Since during summer is when the pillows should be regularly cleaned, so should warm water be used. Warm water brings out clean clothes to the owner’s satisfaction. Cold water does not do much difference. • Some also fail to follow instructions and instead of heeding they opt to use a different mechanism. This will in turn destroy the fabric further. For example it could be meant for dry cleaning but is hand washed although that doesn’t expose it to too much danger. The problem lies in the type of detergent used and this should be taken into keen consideration before using it to wash the pillows and bolsters. • Some bolsters and pillows could be brightly colored. Bright colored clothes have a high probability of dripping color. But the users choose to wash it normally before doing a test whether it will fade and affect the other clothing. A color test should be done before being dipped with others. It is simple. Just use a small piece of cotton and moisten it. Rub it on the surface of the pillow or bolster and if the color comes out, use a different method and if it doesn’t come out, feel free to mix with others. • Bleaching is not bad but the problem lies on overusing it thinking it will totally make the cloth come cleaner than it should be. It should not be the case. 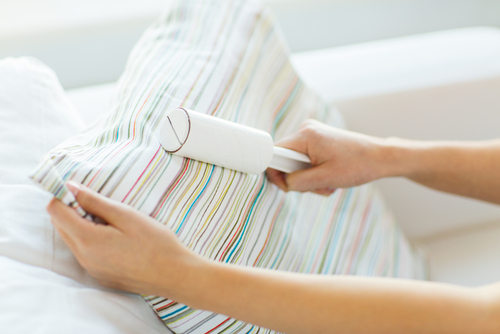 Putting too much of it is not a guarantee that it will rid of all the stains contained in the pillows and bolsters. 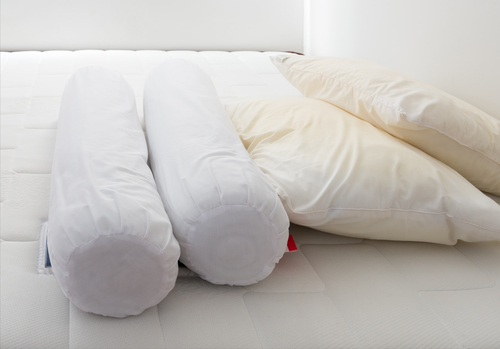 • Some people would rather save time and wash the pillows and bolsters only once and they are done. Take time to ensure they come out as clean as possible. Wash them twice to ensure all the dirt and stains come off. Re-rinsing also helps drive away all the stubborn dirt that that did not get out after the first rinse. • For those that need to be machine washed, do not staff the pillows on the machine just to get done quickly. This will destroy the machine since it is overloaded and might be creased. Besides, because of many clothes, the machine will find it hard to clean every detail of the fabrics hence won’t come out clean to the expectation of the user. What most people forget is that, when washing pillows and bolsters, clean tennis balls could come in handy. They facilitate a cleaner cleansing. Why is this so? Tennis balls are known to fasten the drying process that is why they are preferred by most people. Although they are of such use during the washing process, some investigations have revealed that some tennis balls might not take the heat in the dryer hence warping and damaging the fluffy pillows inside. Their bright color could also choose to drip because of much heat and affecting the clean garments.